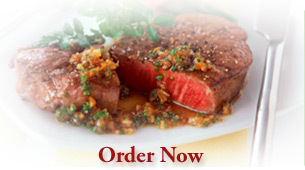 Welcome to the Landtasia Organic Farms website. Here you can read and learn about our organic grass fed beef, our agricultural methods and philosophy and about our people who are dedicated to sustainably producing premium quality food in a beautiful and healthy landscape environment. If you feel an empathy with Hugh Fearnley-Whittingstall's River Cottage, we’re sure you will feel a connection with Landtasia Ranch & Sanctuary too. 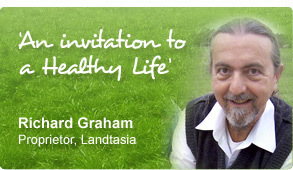 Landtasia is a certified organic agricultural enterprise located in the Southern Tablelands of New South Wales. We primarily serve customers in and between Sydney and Canberra with free delivery. In order to make our quality food available at affordable prices we have created a program where local people can order directly from the farm – the Landtasia Farmfresh Cooperative Program. Landtasia Natural Certified-Organic Grass-fed Beef is our first produce line to be offered in the FarmFresh Cooperative program. In the coming years the farm will be extending its meat operations to include other healthy organic protein-rich produce including lamb, goat, chicken, and eggs. We welcome your emails and phone calls if you have any unanswered questions, and hope you soon become one of our many satisfied customers.